New Retro Dining is proud to present our Made in USA Woodland Series traditional dining furniture. 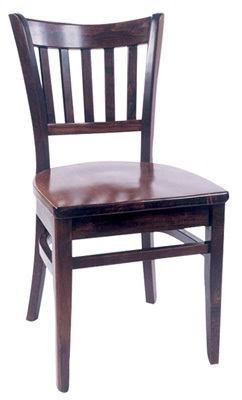 This dining chair which is perfect for restaurants and bars or for your dining room set. This wooden chair has a limited 1-Year WARRANTY! 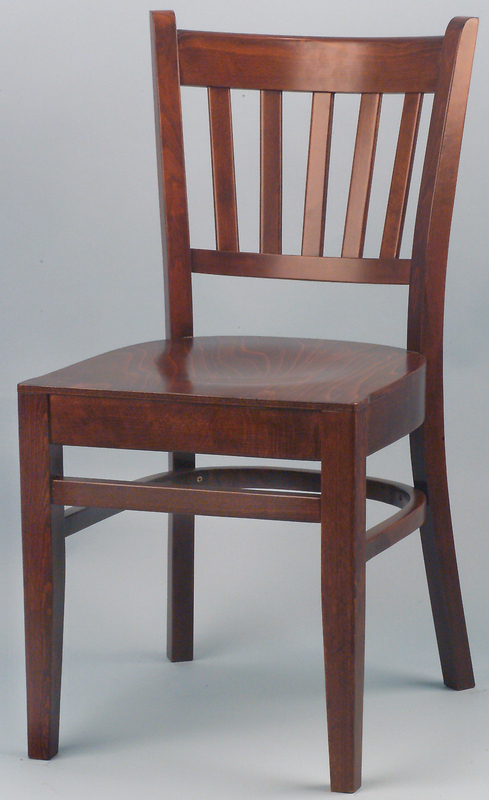 Classic wood chair with a curved Slat back. Shown with opt. 3/4" solid wood saddle seat, add $66.31 to the Grade 1 pricing.